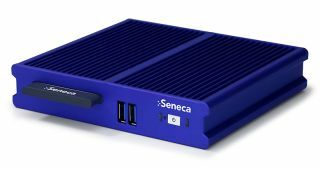 Seneca was selected by Intel to design an enclosure for the new Intel Compute Card technology. Seneca was selected specifically to design and purpose built solution for use in Visual Retail including digital signage and kiosk. The Seneca XK-Dock is a one of a kind ultra small form factor enclosure for Intel Compute Card. The Intel Compute Card with the Seneca XK-DOCK brings tremendous value to designers, OEMs, channel partners and ultimately, end user customers. entry level to professional use cases.